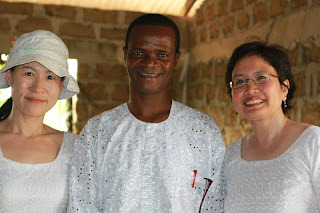 On 14 March 2012, Mi Jeong, Doyin and I landed on the shores of Liberia, Africa, for the very first time. 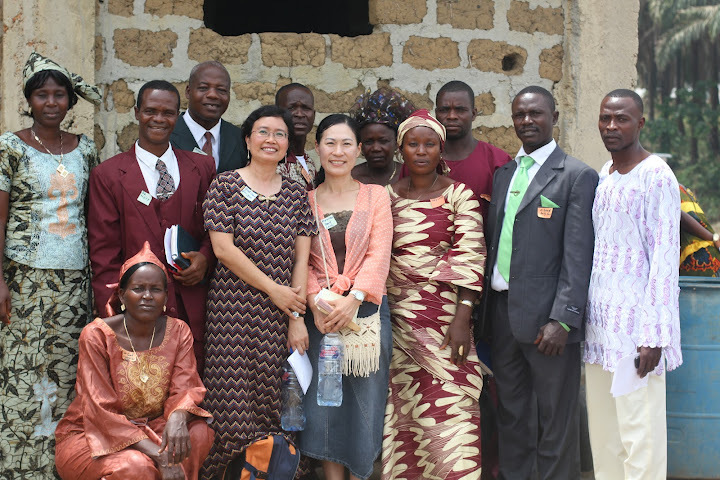 Our mission was to train the leaders in HIM Liberia and Guinea, minister at an evangelistic crusade and speak at the Hope Liberian women’s conference whilst forging a stronger relationship with our family of churches in Liberia and Guinea. Liberia is a country under progressive restoration, having come out of a civil war almost ten years ago. The people are friendly, warm and highly hospitable. We could sense God’s mighty hand upon the nation; bringing a people back to that place of relationship with our Maker. Training was provided for all the leaders and potential leaders of Hope Monrovia, Hope Gbarnga and Hope Foya of Liberia. I commend my teammates for their heartfelt sharing during the training sessions and their fantastic support to me. The training went well with good attendance. The leaders and potential leaders were extremely attentive and hungry for God and His Word. It is so encouraging to have each and every person participate, discuss and pray for one another to grow in godly leadership. I was highly encouraged by the level of intercession and spiritual preparation that went before the crusade. 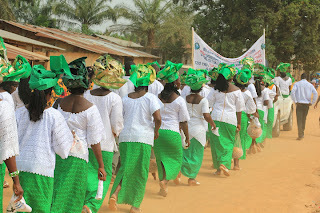 Every person, from children to the elderly, were geared up to bring the Gospel message to the town folks in Foya. We had two nights of crusade as there was a thunderstorm in between. Praise God for the 170+ salvations and 250+ people who came out for ministry. God just moved miraculously; people were hungry to know Christ, people being prayed for all varieties of healing, people being delivered on the crusade ground, people openly repentant before God. God is awesome! It was so exciting in God! This will always be a poignant memory in all our hearts and minds! Glory to God! Immediately after the crusade, we held the women’s conference entitled “Leadership”. I learnt that all training and teaching sessions are likened to preaching sessions. Each person was deeply hungry for more of God and was highly responsive. It is such a joy and honour to be amongst this wonderful bunch of courageous women of God! I truly enjoyed the women’s dialect choir. The Liberians and Guineans are great people of praise and worship in God! We also marched through the whole town of Foya for three hours. All the women and men were in one accord as we marched, prayed, interceded and praised and worshipped God throughout the entire march. I believe plenty of people were touched by the sight of Christian solidarity. I believe there were many heavenly transactions being made that day. Praise God! Ps Sonny Brown and his wife, Mary and their leaders are to be commended for their tenacity, humility and godly leadership. My teammates and I count it such an honour and privilege to minister amongst a generation of Africans who are rich in their hearts for Jesus. We have had to adjust to a variety of factors such as weather conditions, road conditions, sanitation etc but none of these mattered as we are all joined together by God’s love. 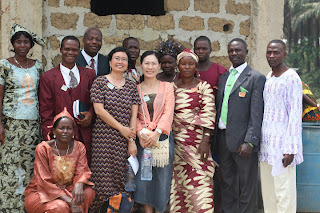 We have indeed felt very much at home with HIM families in Liberia and Guinea. We do look forward to future mission trips to Africa. We also thank God for His covering over us all throughout the entire trip. Praise God!! !